Have you ever been told a jewelry piece you have is unrepairable? If so, let us take a look at it. 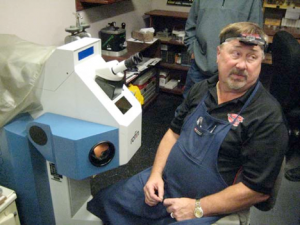 With our state-of-the-art laser welding, we can repair items that would otherwise be unrepairable. Why use a laser welder? Because jewelry is made of metals that have a high melting point, pieces are heated to a high temperature to size, re-prong, or solder. A laser welder can pinpoint where the soldering needs to happen therefore it doesn’t have to heat the whole piece up. 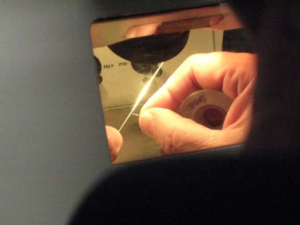 If you have a piece of jewelry that can’t be heated up such as ones with precious stones or sensitive metals, we can laser weld the necessary piece without harming the overall piece or stones.